At Robert S. Parminter, D.D.S., our team provides porcelain veneers and other cosmetic dentistry options to residents of the Whittier, CA area for beautiful smiles. Since 1992, we have focused on providing exceptional services in a warm and friendly atmosphere. Our team's dedication and expertise can help you make the right decision about veneers and your dental health for getting the bright, healthy smile you’ve always wanted. A veneer is a thin porcelain cover that is placed on the front of a tooth to enhance its shape and color. Porcelain is the preferred material for this cosmetic procedure as it is durable and mimics the appearance of a natural tooth. After you and Dr. Parminter have decided to utilize porcelain veneers, preparing your teeth is the first step. During this preparatory stage, Dr. Parminter will carefully shape the fronts of your teeth and take impressions. A dental laboratory will use the impressions to create your custom veneers. Once the veneers have been created, you will return to our Whittier dental office where your teeth will be cleaned and your veneers will be securely bonded, instantly improving your smile. Veeners can also be completed in one visit with the CEREC unit. 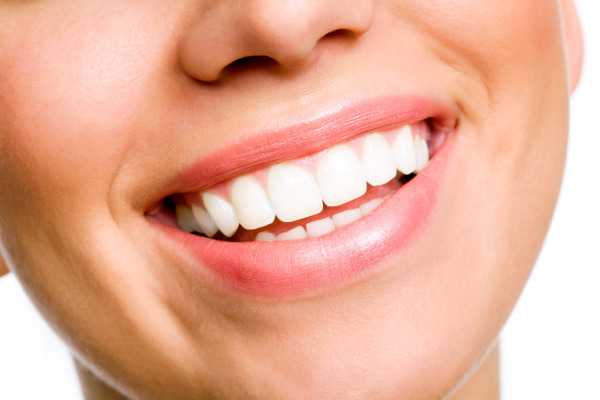 The strength of porcelain ensures that your veneers will behave like normal teeth. As a result, you can eat, drink, brush, and floss without worrying about damaging your dental work. Veneers are durable solutions to a wide variety of dental problems, but you might eventually need repairs or replacements. Fortunately, regular dental care and proper oral hygiene at home can extend the life of your veneers. Your Ideal Smile is Closer than You Think! If you would like to learn more about getting porcelain veneers in Whittier, contact our cosmetic dental office to set up a consultation with one of the friendly experts on our team. Our practice includes a female dentist and a multilingual staff, so we can comfortably and competently serve your dental needs.